ELP Legend Greg Lake’s Eagerly Awaited Autobiography “Lucky Man” Now Available In The UK! London – Greg Lake first won acclaim as lead vocalist, bass guitarist and producer when, together with Robert Fripp, he formed King Crimson. Their first album, the landmark In the Court of the Crimson King, co-produced by Greg, featured the iconic song “21st Century Schizoid Man.” King Crimson pioneered progressive rock and paved the way for many famous bands that followed, from Yes and Genesis to the Red Hot Chili Peppers. 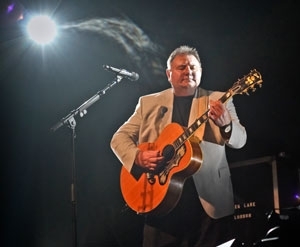 London, UK – Greg Lake is the co-founder of KING CRIMSON and EMERSON LAKE AND PALMER (ELP), and wrote the hit “LUCKY MAN” and co-wrote “I BELIEVE IN FATHER CHRISTMAS”. 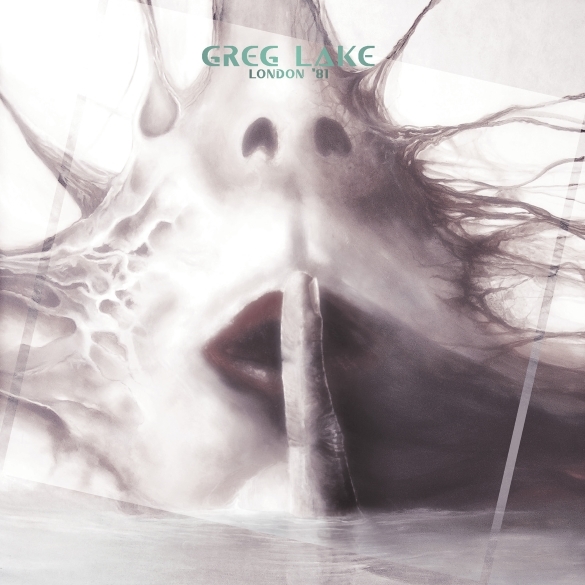 Los Angeles – Purple Pyramid Records will be releasing legendary Greg Lake’s live album from the Hammersmith Odeon in London, November 5, 1981, featuring guitar hero Gary Moore on CD & vinyl! 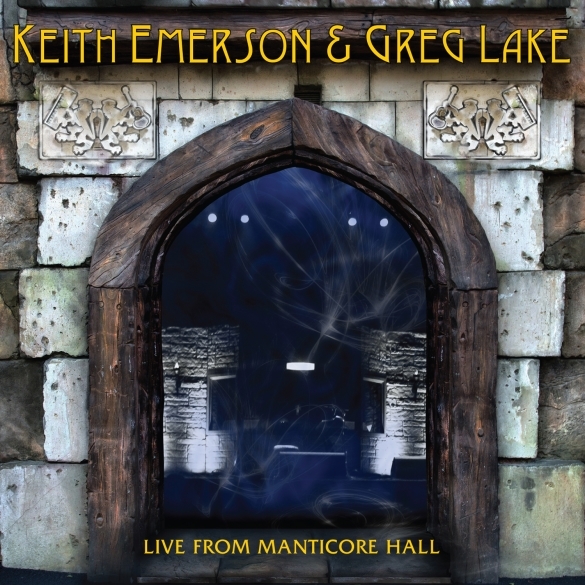 The concert recording features ELP and King Crimson classic tracks such as “Lucky Man”, “Karn Evil 9”, “21st Century Schizoid Man” and “In The Court of The Crimson King”, as well as songs from his critically acclaimed first solo album from 1981. As a founding member of King Crimson and Emerson, Lake & Palmer, Greg Lake has been a major force in music for over 40 years. He has long been considered a legendary voice and musical powerhouse whose impact changed the landscape of rock and roll. Many simply refer to him as “The Voice”. The Greg Lake Band made its live debut on one of the biggest stages available to it, the annual Reading Festival in England in August 1981. Much of the set was new to the audience – Greg’s first solo album would not be released for another month. But the band received a wild reception regardless, and there were enough old favorites on display to ensure the fans remained happy…including the show opener “Fanfare for the Common Man,” truly one of the most effective showstoppers ever to have opened a concert. The band’s full tour kicked off in October. Purposefully, Lake demanded smaller venues, the theaters and universities that truly represented a refreshing change from the monster domes he’d visited the last time he hit the road in 1977 with ELP. The string of shows launched in Wales, at Aberystwyth University, then moved onto Cardiff University, Dunstable Queensway Hall, Norwich University, Liverpool Royal Court Theatre, Newcastle Mayfair, Glasgow University, Edinburgh Playhouse, Sheffield Lyceum, University of Kent Canterbury, Birmingham Odeon, Leicester Polytechnic, Bournemouth Winter Gardens, Exeter University, St Austell Cornwall Coliseum, Crawley Leisure Centre and, finally, London’s Hammersmith Odeon. It was not an extravagant performance – no lasers, no levitating keyboards, no priceless Persian carpets. The myths and legends that surrounded ELP when they toured were all firmly locked away. The Greg Lake Band toured like a band, and on stage they simply took up their positions and played. Brilliantly. At their most immodest, Emerson, Lake & Palmer toured with 11 trailers (one just for backup gear), an orchestra, and 63 roadies, including one tasked with sweeping Greg Lake’s Persian rug in a pre-show routine that primed the crowd for the grandiloquence to come. (The rug served both form and function, as it reduced the risk of electrocution). These days, Greg’s performances are far more intimate. His songs are served not with spectacle, but with stories. One such performance is captured on his album Songs of a Lifetime, where Greg tells his tales – his first guitar, seeing Elvis in concert, finding inspiration in France – between selections from his monumental discography, which includes not just ELP material, but also songs from his days in King Crimson. A founder of the band, he sang, played bass and wrote songs for their debut album, the seminal In the Court of the Crimson King. It was at a Fillmore West King Crimson gig in 1969 when Greg met Keith Emerson, whose band, The Nice, was on the bill. Greg is in the enviable position of cherry-picking from decades of songs he composed that speak to what he calls “universal truth.” “Lucky Man,” “From The Beginning” and “21St Century Schizoid Man” might not mean to you what Greg had in mind when he wrote them, but they certainly mean something, and likely fit somewhere on your personal timeline. As Greg is loath to interpret his own songs, the focus of this interview is their creation, and how music can generate a powerful bonding experience under the right circumstances (think Woodstock). We also learned about Greg’s strangest stage moment – the one even more memorable than ELP’s stage cannons, flying pianos and robot armadillo. For the interview, please visit the Songfacts website!